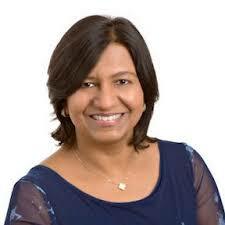 Fun fact: Ranjini’s passion for entrepreneurship led her to staffing while simultaneously pursuing her law degree. This unique skill set – an entrepreneurial drive and more measured approach to execution – has contributed to Artech’s trajectory from the start. Her co-founder worked in the industry as a consultant which sparked her initial awareness about staffing, and they focused their own entrepreneurial efforts on the industry after jointly recognizing the growing demand for technology skills in the 1990s. I was honored to talk with Ranjini for this #womenINstaffing post, especially as our conversation came on the heels of two very prestigious awards for Ranjini and Artech: being named to SIA’s inaugural Global Power 50 list and being recognized as a top 10 Asian-owned business in the United States. Below are few insights from our discussion. What do you wish you would have known as a rookie in the staffing industry? First, I wish I would have known how to build effective teams and secondly, how to get new business. I didn’t have a business development background or team building experience so I’ve developed these skills on the job. As you scale up, building effective teams that can deliver is the main focus after you’ve sold new business. These are the most important areas to scaling which would have been great to know starting out. What does it take to be a great staffing leader? You have to be inspiring. You have to set a vision that people can work towards and can identify with. You have to develop a strategy that your team can sign up for. It doesn’t have to be complex, but it has to be clearly defined and be cascaded down throughout the organization. What’s the best advice you received recently and why? I didn’t receive this advice recently but I live by it still: “Never be complacent.” This is true beyond staffing, but it’s so apt for this industry. Although staffing has been around for many decades, there is constant change due to client demands, technology, the regulatory environment and more. It’s important to always look forward to evolve your business model and how you’re delivering the best services and value. When I first started, there were staffing icons I looked up to in this industry and many aren’t around anymore since they didn’t evolve. You include on your Twitter bio that you’re focused on education. Can you share more about that? Education is a personal passion for me. I think that if you have a great education you can excel regardless of what industry you’re in. There’s an obvious demand for high tech and engineering skills but college age people today aren’t always going into these fields, especially with younger girls that don’t look at the technical industry. It’s important to educate people at an early age that there is a demand in the market, a career path and women in these fields to look up to. I look for opportunities where I can make an impact and try to get involved, especially as it relates to education and technology which is why I currently serve on the Board of Trustees for the New Jersey Institute of Technology. If you weren’t in staffing (and not a lawyer), what would you be doing? I think I’d be running an entrepreneurial venture – I’m not sure what that would be right now as I’ve been so focused on staffing – but I like to solve problems. I remain excited about staffing because there’s so much opportunity for growth. It’s in my DNA and the makeup of the organization to focus on personal development and revenue growth and I don’t think that I’ve maximized the potential in those areas. I’m still passionate about staffing and look forward to what’s next.